These cards are so dreamy and pretty. I love them a lot! 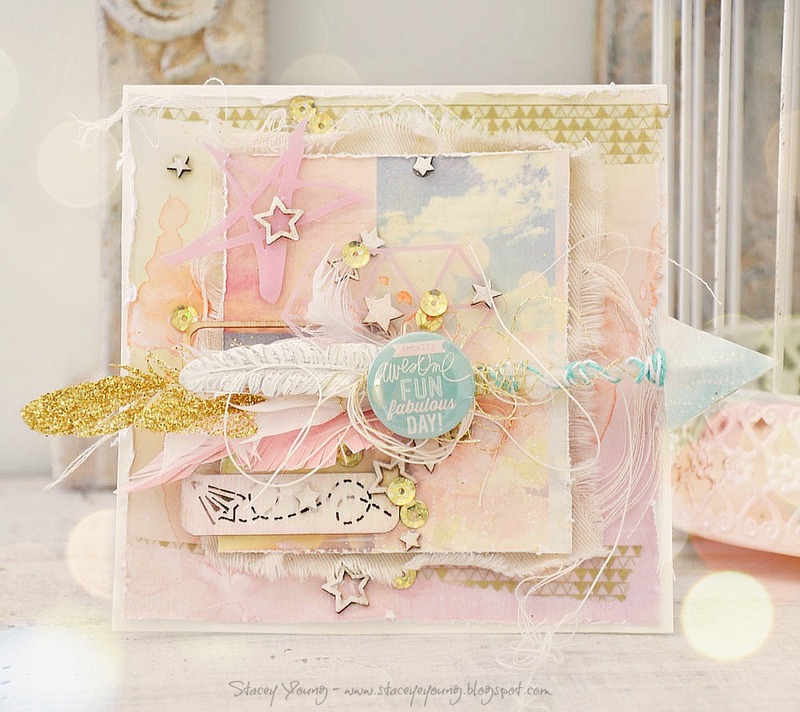 Wonderful cards.. so much to look at, love the glittery feather! 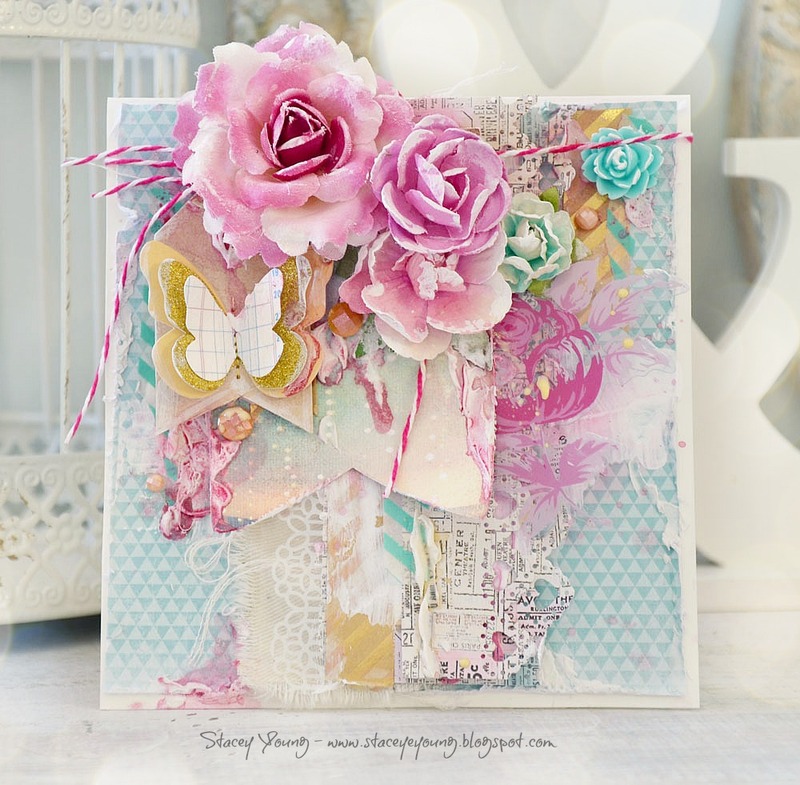 Such funky cards, love all the layers.